The Town of Shelburne’s historical maps can be seen on the website www.old-maps.com. This summer, Shelburne, Massachusetts is celebrating 250 years of history. The maps range from a colonial early-1700s map of Deerfield which the town was originally a part of to modern topographical maps. Ancient Deerield included included all of modern Shelburne and Greenfield. 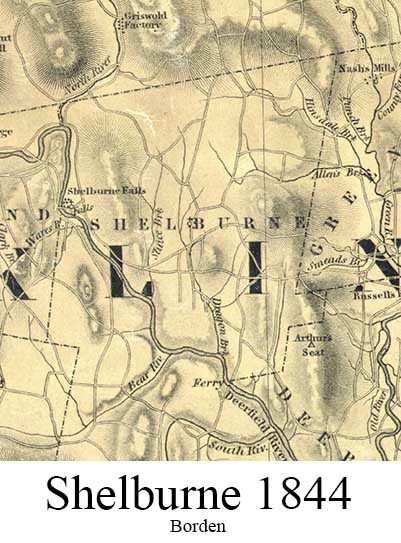 Here is a closeup from the 1832 map from the Massachusetts Archives. Later maps like the 1858 and 1871 maps, show homeowner names.